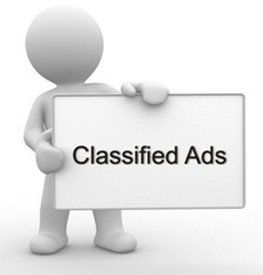 There is now a section on the website for neighborhood classified ads. These are ads from RESIDENTS of Temelec who wish to inform their neighbors of items for sale, etc. Inclusion is at the discretion of the editor of the website (Francesca) and we accept no responsibility for the accuracy of the content of the ads. Each ad will run for one month, then be removed unless a request is made to continue for another month. This is something of an experiment, but there seems to be a need to share this sort of information. If you wish to be included in this section, please send your brief ad in an email to Francesca at TemelecWeb@gmail.com. You may also include one photo if appropriate. You need to provide contact information so that people do not respond to the website. Also, please be aware that these ads will be on the web for everyone to see!